California has always been a haven for motorcycle-loving people. With its great weather and terrain, the state offers the best environment for a spin. 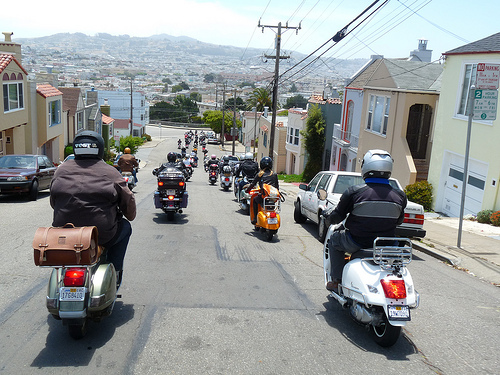 Interestingly, California has almost one million registered motorcycles and counting which only confirms the bike-friendly environment of the state. This small vehicle is usually a second vehicle for most people and one which enthusiasts ride on weekends during their leisure time. Unfortunately, motorcycle accidents do happen due to careless drivers, certain road conditions and other issues. These incidents cause serious injury and sometimes, death. Compared to cars that are enclosed, motorcycles are more dangerous to drive. In California, Los Angeles County recorded 59 percent more motorcyclists killed in accidents in 2012 while Orange County has a 15 percent increase in the same period. A new report from the Governors Highway Safety Association, however, noted a seven percent drop in national statistics for motorcycle fatalities in 2013. In California, the number of fatalities went down by 13 percent from the 2012 figures. In the event you get involved in a road accident and you suffer an injury, seek immediate medical assistance first and foremost. Whether you just got bruises or fractures, don’t delay in getting medical treatment. It is also important to have your legal options open so you can get financial support and more for your treatment. Seek the help of motorcycle lawyers who can help you from start to finish. A lawyer specializing in motorcycle accidents should provide legal counsel at no cost unless he or she has successfully helped you recover your lost income through the claims, said Los Angeles attorney Michael Ehline who is himself a motorcycle enthusiast. The attorney should also be financially capable to shoulder other legal costs including finding a doctor for your medical treatment, he added. As accidents are unavoidable, motorcycle riders and drivers are urged to exercise more caution while on the road. Vehicle drivers should also be responsible and should watch out for motorcycles notably when cruising in a multi-lane highway. A former National Highway Traffic Safety Administration official, for his part, cited a number of ways that could help further reduce the number of motorcycle deaths. These include implementing more universal helmet laws, lowering alcohol impairment, better training and licensing and more driver awareness.